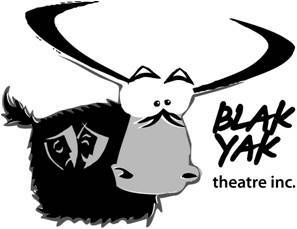 Blakyak Community Theatre co. | Blakyak Community Theatre co.
Blak Yak is a not for profit community theatre group. Established in 1993, we have been committed to producing high quality theatre. Our productions have been taken from such diverse sources as William Shakespeare, Tom Stoppard, Terry Pratchett and even television sitcoms. We’ve always been an advocate for the underdog, and were originally founded to give first time writers and directors a chance to stage their shows. We still have that nurturing attitude, and we’re always looking for people, which means that Blak Yak is a great first step into theatre for performers, directors and technicians. Blak Yak does not have a home. We are one of the few nomadic clubs in the Perth metro area. From Wanneroo to Kwinana and from Fremantle to Kalamunda, we have taken our unique and award-winning brand of theatre all over Perth. You can contact us any time via the contact form on this website, we are always keen to hear from new people looking to get involved. If you are interested in submitting a show, please feel free to contact us via the submission form. Thank you for your Great performance Atomic, myself and my husband came to see your showing on Sunday, I didn’t think science could be so entertaining. Your cast have superb voices, loved the dancing, you could see they were enjoying their roles. Compliments to your orchestra as well. I picked up some cards before I left and I have gone around to a few local businesses, the shire, library, Fremantle info centre, a couple of the colleges. You deserve a full house on every performance, with a standing ovation.